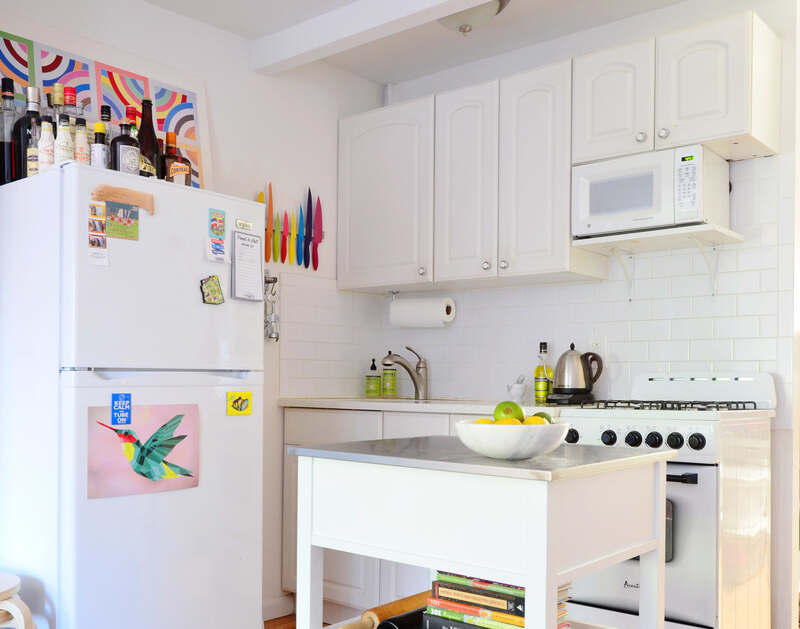 When your kitchen is as small as mine, every bit of countertop space counts. You want to have as few things occupying those precious few square feet (inches?) as possible, to maximize the space for actual food prep. 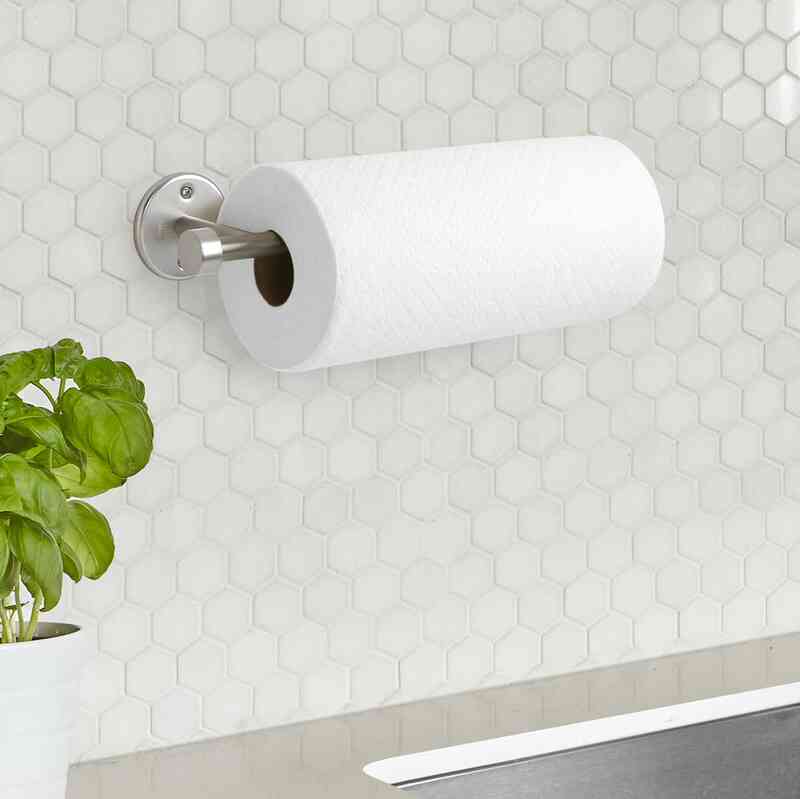 Allow me to introduce you to one of my favorite space-saving kitchen solutions: the cabinet-mounted paper towel holder. Other people who are purer than me have abandoned paper towels entirely, but I still rely on them for things like soaking up bacon grease and cleaning up spills on the floor. Traditional paper towel holders hold the towels upright, and sit on the counter. There are two problems with this: one is that the holder occupies precious countertop real estate. The other is that a path must be open to reach for the paper towels, so it鈥檚 awkward to place anything in front of them. Reaching across a crowded countertop, knocking things over to get to the paper towels 鈥� not great. 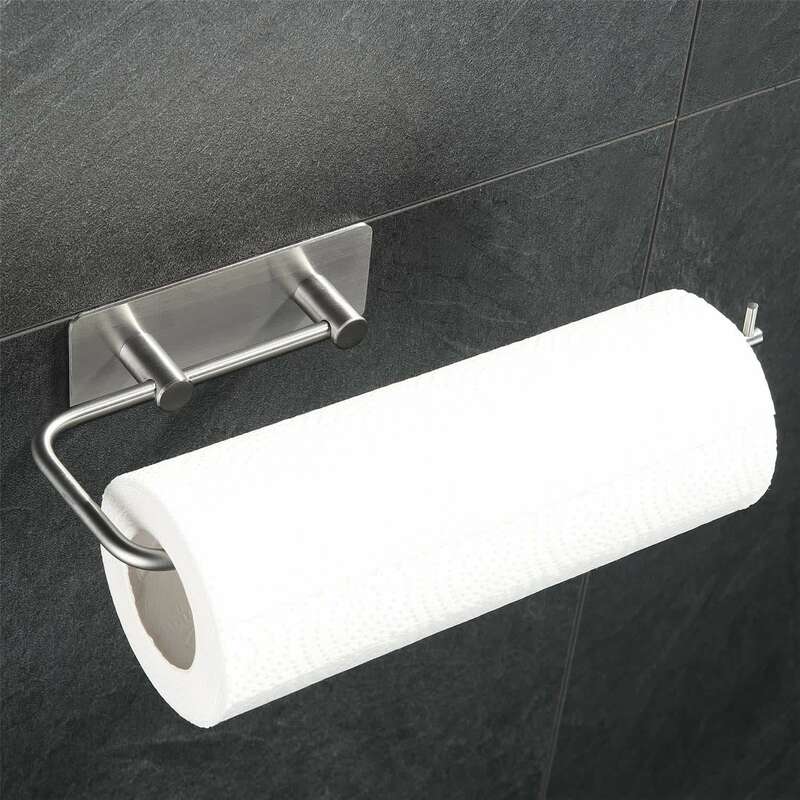 Enter the wall-mounted paper towel holder. Or in my case, the under-cabinet mounted paper towel holder, because the walls of my rental kitchen are covered in subway tile and I don鈥檛 want to drill into it and lose my deposit. Now the towels are within easy reach, and they don鈥檛 take up any space on the countertop at all. If you decide to got this way yourself, you might be surprised at how much space it frees up. 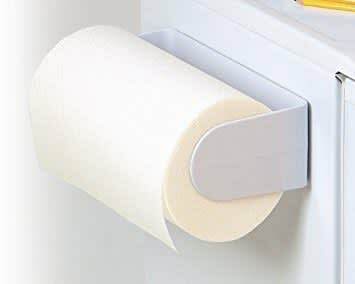 The particular style of paper towel holder that I have is no longer available, but there are plenty of other options out there. This one will set you back just $13, and the design is fairly subtle (the little black balls don鈥檛 show when the roll is on). This design is very similar to the one I have, and it can be mounted both horizontally and vertically, so you have lots of options. I like that the towels are really easy to replace: You don鈥檛 have to unscrew anything, just slide the roll on. This design sticks onto the wall with adhesive, a great option if you don鈥檛 want to drill into the wall (or want to mount the holder on a wall that has tile). According to the product information, it鈥檚 easily removable as well. 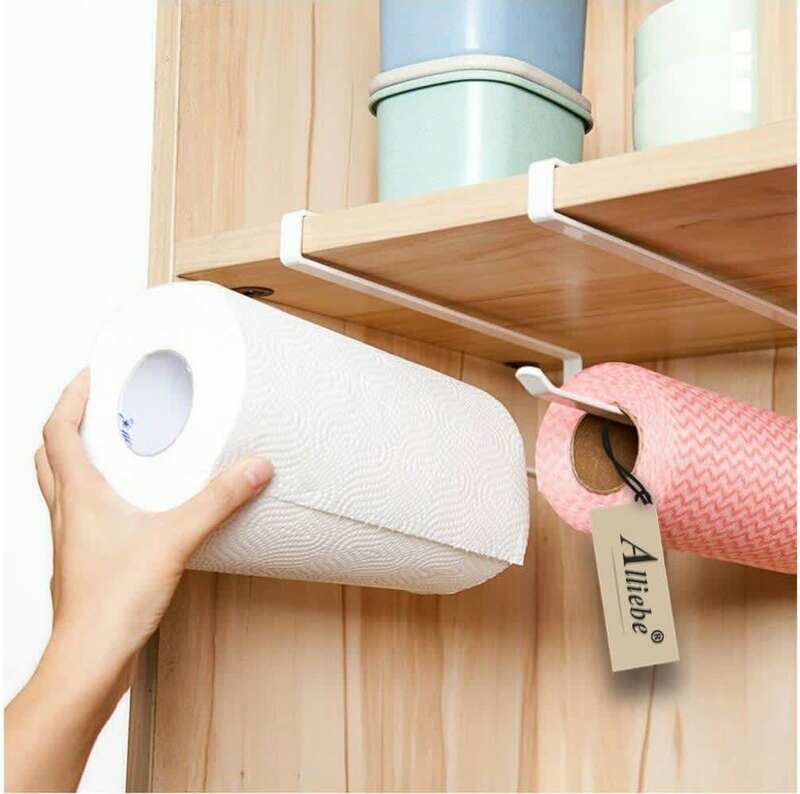 Another option for those unable (or unwilling) to drill into the wall is this clip-on paper towel holder, which attaches to the bottom shelf of a cabinet (apparently the door can close over it, although the picture doesn鈥檛 show that) and holds a roll of towels without screws or adhesive. 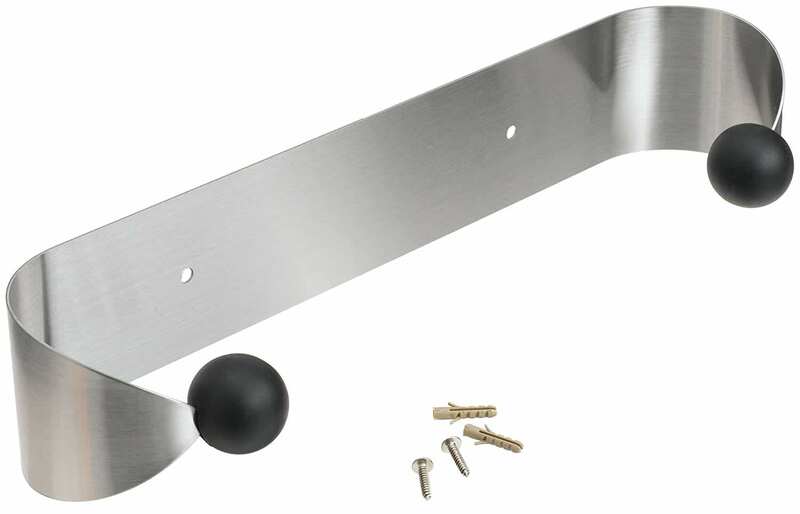 This one is magnetic, so if you鈥檙e especially afraid of your landlord or you just hate the idea of drilling into your cabinets, you can stick it to the side of your refrigerator and call it a day.